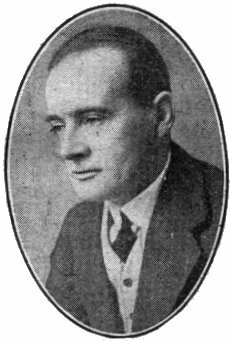 Hector Hugh Munro (“Saki”) was born in Burma in 1870. His father was an inspector-general in the Burma police, and when Hector was only two, his mother died following complications from a miscarriage. After their mother’s death, he and his two older siblings were raised in Devon by two strict and puritanical maiden aunts. In 1893, when he was in his early twenties, Munro joined the Colonial Burmese Military Police—just as the young Eric Blair (George Orwell) was to do years later. Malaria caused his return to England a year later, where he soon became a successful journalist and, by 1909, a popular writer of fiction. Many of his stories satirize Edwardian attitudes to the class structure – the nobility, the new rich, and the working classes. His pen name “Saki” is probably an allusion to the cup-bearer in the Edward Fitzgerald translation of the Rubáiyat of Omar Khayyám, a very popular poem at the time. His biographer describes his method: “Characters are defined with a bizarre name and a deft phrase or two, the wit depends on perfect wording and unexpected turns, and the action is often some kind of practical joke, aimed at deflating pretension or exposing cowardice….His epigrammatic style and witty, amoral young men such as Clovis Sangrail derive from Oscar Wilde, his fantastical humour owes much to Lewis Carroll, and some of his grimmer stories, like his politics, put him close to Kipling” [ Dominic Hibberd, “Munro, Hector Hugh [Saki] (1870–1916),” Oxford Dictionary of National Biography, Oxford University Press, 2004 [http://www.oxforddnb.com.ezproxy.lib.../article/35149, accessed 18 May 2014].